Those of us who have experienced the deep grief of losing a close loved one know the confusing, nebulous and almost unbearable pain. Because grief is so difficult emotionally, many people simply wait for it to end. Unfortunately, ignoring pain such as this can prolong, and sometimes worsen, the grief you feel. Facing grief head-on can help you manage complex feelings in a healthy way. There is no set time that any of us will experience this deep-rooted pain; different people will process grief at different paces, and in their own time. Although the pain of losing someone may never completely depart, it will eventually lift and become more livable with time and emotional work. A grief counselor can help you build the toolbox you need to cope, support you and offer resources. This objective assistance can enable you to move on with you personal life more quickly. The goal is to leave you with a greater understanding of death, grief and yourself. 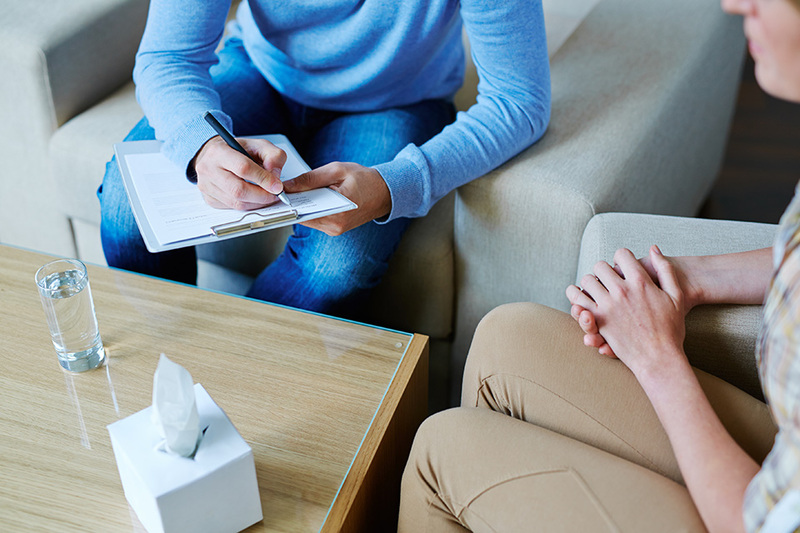 Grief counseling consists of therapy as well as education regarding the various phases of grief, helping you to identify your position in the process. This allows you to deal with the here and now of your personal situation. Your may discover the twisted, incomprehensible pain you have been experiencing is actually symptoms of typical grief. If all you know is that you don’t know what to do next, contact a grief counselor. Counseling will assist you to slowly but surely practice acceptance and move forward in a manner that is not damaging to you or others around you. Loss of any kind, not just death, and the subsequent grief that follows, has been studied closely. The Kübler-Ross model states that there are five stages of grief that each and every one of us can experience when a loss has occurred. None of the stages watches the clock; the duration of each stage varies by the individual and their personal character and outlook. Because of the fact that grief can be so fickle, proper counseling will help you to deal with your own grief properly, accepting who you are and knowing that whatever you are experiencing is completely normal and okay for you. This is a very difficult and painful time, marked by an inability to admit to yourself what has occurred—at least not on an honest enough level to move on. This denial, in itself, is what will typically lead to isolation, as this allows you to remain in denial, starting a nasty perpetuation. Grief counseling is able to bring you, no matter how slowly, to a place of acceptance and understanding of what has occurred. Experience counselors in grief will do this gently and with much patience and consideration, guiding you into the next level of your healing process. In counseling, you are permitted to express your anger at the loss you have experienced. You are in a place of safety and confidence, and are free to be as angry as you need to be. Expressing the anger we feel at loss and death is a vital part of the grief process. Without the expression of these emotions, it is easy to revert back to a certain type of denial, or even stagnate in the anger you currently feel, which can produce dangerous results. Grief counselors will assist you with getting these feelings out in the open, and will teach you healthy ways of coping with them in the future. This stage is the strangest—and often the most misunderstood. Dealing with God, yourself or others in an effort to reverse what has been done is quite common. Bargaining can include both fantastic ideations (“If you bring my mom back, I promise to be a better person”) and vows to never let a similar tragedy occur (“If everyone signs this petition, this will never happen to anyone again”). A good counselor will practice techniques that will draw you back to a place of facing reality without causing further damage and causing you to go backward. Because of its delicate emotional nature, and its close tie to our psychological being, this must be done in a professional atmosphere. A deep sense of sadness indicates that the loss has finally been realized, although not yet accepted. Everyone is different in the amount of time it takes to grieve. Understanding this phase, as well as getting a good grasp on the fact that depression will occur, allows you to prepare yourself for it. Counseling will enable you to recognize it when it arrives. Grief counselors have tools and knowledge, and will share it with you so they can reach out in the midst of this storm. It is vital that you have plenty of support and encouragement at this time, and a grief counselor will guide you during this time. 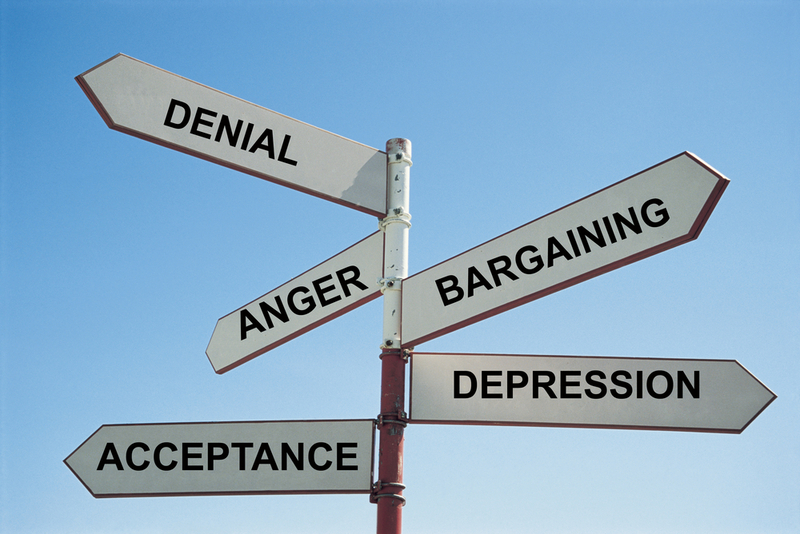 Once you have cleared the hump of depression, a point of acceptance is on the horizon. Acceptance is the freedom you have been looking for, and this point can only be reached by scaling the walls that have come before it. Reaching this point is much easier if you accept the help of a grief counselor early on in your grief. To have that extra set of eyes and ears during this time is crucial, as your counselor has guided you through the worst stages prior to acceptance. Keeping consistent in the level of grief care you receive is invaluable, and will show in the long run. If you or someone you love are experiencing the ravaging pain of death, or a loss of any kind, find a good grief counselor with a solid reputation. Seek out the support of loved ones and surround yourself with support during the time you are being counseled. This will give you the strength you need to follow through with dealing with the pain you feel. It is normal to hurt over loss. Help yourself by allowing yourself to be led.